We offer a full range of project management capabilities: planning, design, procurement, construction, commissioning and maintenance to meet the needs of our customers in the electricity market. Customer confidence is reliable evidence of the high quality of our work. Since 2004, we have achieved excellent results. 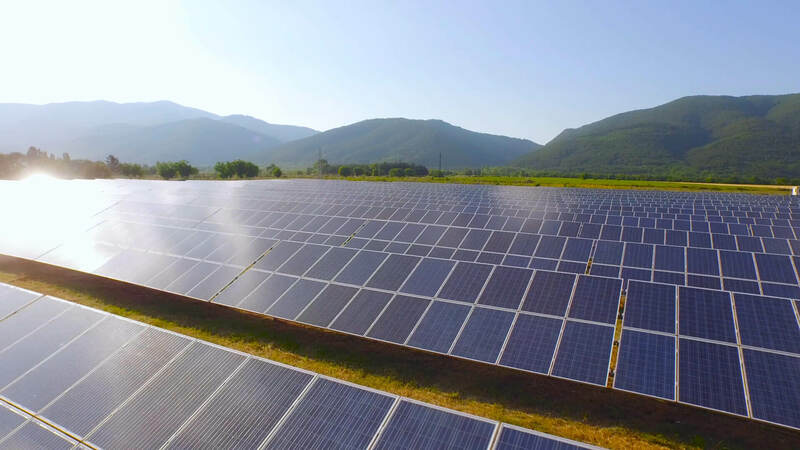 Having successfully completed dozens of large projects in the field of telecommunications, automation and energy, we focused on the development and construction of turnkey projects in the field of renewable energy, as well as innovative energy industry. GSA Group is a modern and dynamic organization, we are committed to our professional experience and as a company with high standards, we value our customers and investors. The head office is located in Kazakhstan, Almaty, the company's representative offices operate in Ukraine, Poland and Guinea. Specialists of our company participated in the design / construction of solar power plants with a total capacity of more than 360 MW. Our company is studying the technology of Wireless Power Transmission. Construction of a solar power station «Burnoye – 1», Capacity: 50 MW. «GULSHAT» field with production capacity 40MWs solar power plant construction activities in Karagandy Region. Hydro Power Plant (Main Facilities). Development of the Feasibility study for «Shardara 100 MW HPP rehabilitation» Project. Development of the Design for «Shardara 100 MW HPP rehabilitation» Project. The equipment of server rooms in 16 cities of RK. Almaty, 301, Nursultan Nazarbayev Ave.
«Going to the sun» should be easy. The sun is an unlimited resource, and using it should be a simple solution. GSA GROUP makes solar saving a simple process. Our team of experts will cope with any challenges — without any surprises or hidden costs along the way. Today’s business climate is more complex than ever, so let us deal with obstacles while you enjoy savings. We also offer solutions for the storage and accumulation of electricity in industrial batteries. GSA energy storage systems cover the entire life cycle of energy storage solutions, from modeling and design to construction and long-term management. GSA is an EPC Contractor specialized in the designing and manufacturing of hydroelectric power stations in Kazakhstan and abroad. With internal skills that range from feasibility studies and design to installation and commissioning, GSA can offer, according to the customer’s demand, a turn key service or consultancy aimed at the individual parts of the design. GSA works with well-know components suppliers, recognized for their excellence at an International level, devolping for each site the most appropriate technological solution: from most traditional Pelton, Kaplan, Crossflow and Francis turbines to submerged Kaplan and Archimedes'screw turbines, suitable technologies for low heads. The flexibility of the GSA GROUP offer guarantees the customer constant assistancein after-sale services: ordinary and extraordinary maintenance, preventive and predictive maintenance and management of the plant. We strive to be on the wave of advanced technologies and at the present time the staff of our Company is engaged in the study and training of Wireless Electricity Transmission Technology — WPT Wireless Power Transmission on an industrial scale. In the near future we will offer this solution to the market, at the same time the process of studying the technology is going on — the Next Generation Energy Transfer System. Field studies (geology and topography for small HPPs cascade Project on Bugun river in South Kazakhstan region. Development of FS and Design for Project of the construction of small HPPs cascade on Bugun river. Engineering, supply and installation works of the underground radio-connection line on basis of emitting cable with further increasing of the capacities by integration of subscriber radio-stations. Supply, installation of control instrumentation, Object: CTC, PS Atyrau. Supply and installation of control and automation equipment on the object: Beyneu-Shimkent gas pipeline. Voles for the automated control system. «Polymetall» JSC «Birkachan» Mining site. Development of design and estimate documentation, delivery and installation of an underground radio communication system based on a radiating cable with a subsequent increase in capacity through the integration of subscriber radio stations. Automatic equipment for gate, barriers, domofonization. Supply and installation of communication equipment and electric substation of 220/110 kV for "Kumkol"
Cable trays of hot galvanizing and accessories. Supply of constructional materials for laying of cable routes. Delivery, installation and setup of safety internet access systems to the network of the Temirbank. Supply of the VOLS fiber-optical communication line components (optical cross, plastic pipes with accessories, cable inputs) to PS-Atyrau. Supply of cable products, cable trays. KTK, PS Atyrau. Supply of the electro feeding equipment 48B. KTK, PS Atyrau. Creation of a security system for the business center of Almaty. Development of the Detailed Design for «Construction of the 10/110 kV substation (2 transformers) with connection to HV 110 kV power line for Korday 53.75 MW WPP construction project in Zhambyl region». Consulting services for 5 MW Aqshuqur WPP Project — turbines and auxiliary equipment selection, work with subcontractors, technical consultancy and support. «5 MW Aqshuqur WPP construction Project» FS development. We hereby inform that between the Department of the Agency of the Republic of Kazakhstan on Civil Service Affairs and Anti-Corruption in the Akmola region (hereinafter the Agency), and GSA Energy LLP an agreement on anti-corruption support of the investment project in Kazakhstan has been concluded. This Agreement is implemented free of charge, which gives a vivid example and confidence in cooperation. The purpose of the agreement is to ensure the joint efforts of the anti-corruption support of the investment project in Kazakhstan, including the elimination of all corruption risks during the project. Ensuring the implementation of the Agreement is carried out through the cooperation of both parties to prevent and combat corruption. Phone: +7 (727) 972 10 00. Issued date: February 28, 2019. Herein, we share and announcing that the GSA Group CEO & Founder visited to the 1st Central Asian Renewable Energy Summit in Astana city during 27-28 of February. (link: http://www.renewableasia.org/ ). In frame of this Summit he was delighted to meet with potential giant investing potential players and solar PVs manufactures indeed. This event focusing on Wind Energy, PV, CSP & Energy Storage in Central Asia and CIS countries as well as the firm place and platform for outstanding professional Developers and EPC`s who are able to meet for business – critical discussion of the general topics. Moreover, participants and delegates can access for the cases and studies about Projects Tenders; Technology showcases for Wind Energy, PV, CSP and Energy Storage Innovations. Unparalleled Networking Opportunity Together with Government, Developers, EPC, Control Systems / Equipment Providers, Material and Other Renewable Energy Supply Chain. GSA has signed an Agreement on the strengthening and development of Strategic cooperation with Siemens Kazakhstan in the projects on Alternative Energy. We are pleased to announce that along with increasing its presence in the local and international market in providing basic business services and technological solutions in the renewable energy sectors, GSA is always strengthening and expanding its bilateral cooperation with international companies. A striking proof of this is the fact that GSA has signed an Agreement on the strengthening and development of Strategic cooperation with Siemens Kazakhstan in the projects on Alternative Energy. Designing alternative energy facilities (solar, wind, hydroelectric power plants). Consultation on system solutions and used electrical equipment. Participation in tenders as a general contractor. Implementation of construction, installation supervision, commissioning works. Provision of service and warranty services. GSA Group successfully and dully completed audits with further extension of its Quality Management System Compliances requirements according to the Certificates — ISO 9001:2015 and OHSAS 18001:2007 with validity December 2021. This event shows that the management and personnel of the company always strives to strictly adhere to the rules of safety on construction sites and comply with the requirements for the provision of quality services at the facilities for its Customers. In frame of the signed out agreement to build and develop the solar power station facility «Zadariya-1», the capacity of solar power station production is 14 MWt. This solar power station facility will be built at Arys area in South Kazakhstan region, the general construction company contractor is GSA Energy LLP. Reminding that this agreement was signed out in October 2018 between the major Customer of this project with French company «Urbasolar SAS», inside the local Kazakhstan market is represented by special project designing company «Kaz Green Tek Solar» LLP and «GSA Energy» LLP. The present agreement is designated the terms to render the major construction and assembly works at «Zadariya-1” field, thus, “GSA Energy” LLP owing the tremendous and professional background experience in construction and installation of the technological equipment and successful accomplished projects in frame of the Green Energy and Renewable Energy indeed. For the «GSA Energy» LLP directorate management and its employees is mandatory and strictly to follow the safety rules and HSE policy during the execution of the works at industrial and construction work-sites indeed. The end-date of construction and commissioning works of this solar power plant as per the terms of the agreement is dated as of August 2019. Briefly reference about the company: Group of Companies «GSA» LLP including its subsidiaries «GSA Construction» and «GSA Energy» is the 100% local leader and service provider of the equipment and services in the business sectors like: telecommunication systems; power system and EPC and Development in Green Economy and Renewable Energy. In the period from June to September 2018, GSA participated as a Contractor in a large-scale 40 MW solar energy production Gulshat solar power plant construction project in the Karaganda region. The customer of the present Project is Hi-Tech Qazaqstan LLP. According to the terms of the contract, all general construction and installation works were performed on time, with the planned quality and in strict accordance with safety engineering, construction norms and standards; design and estimate documentation. GSA has enormous and professional experience in construction and installation of technological equipment and successful projects implemented within the framework of the “green” energy industry as a whole.